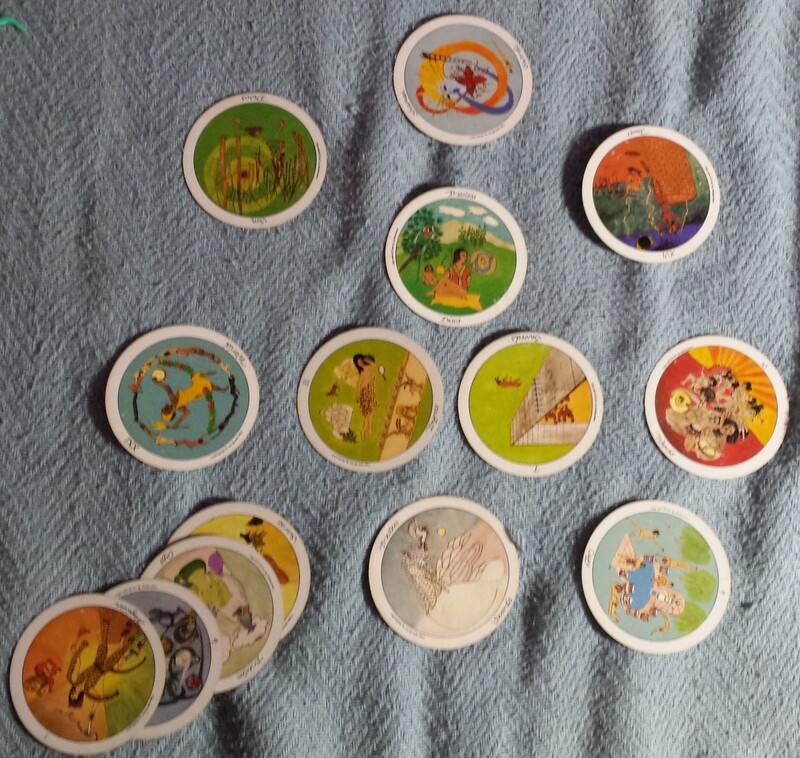 Why would you restrict yourself to a one-card tarot reading when you could draw four cards, or five, or ten? Surely more must be better? Multiple cards provide more information, right? Well, yes, usually, kind of. 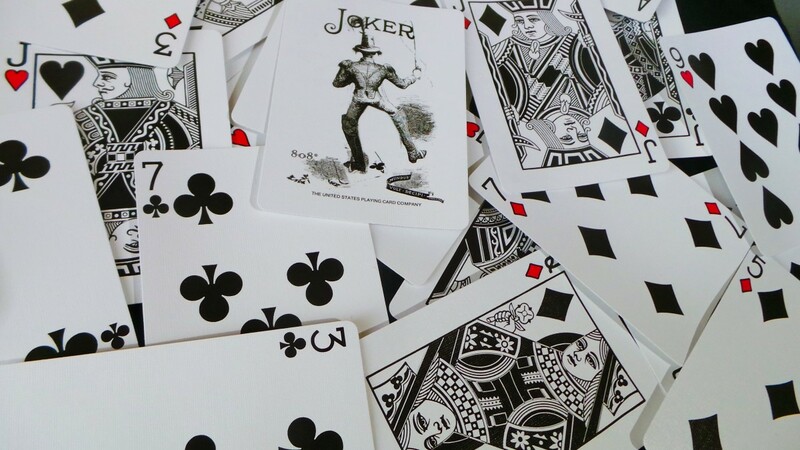 However, for beginner readers, turning several cards will often confuse the issue. More cards muddy the mirror of reflection. When you want a clear, crisp, precise answer, draw just one card. How many times have I heard readers say that they are “drawing one more card for clarification” only to gaze at it in utter perplexity. Trust me, all the answers you need are right there in that first card. Layers of meaning: No card has one meaning. There are layers and layers of information embedded in the psychology of the card and in the symbolism of the illustration. Meaning is in the memories the card elicits in the reader. It’s in the emotions that arise without bidding. Meaning is in the colors, the position of the figure/s, their clothes, the background, even in the weather depicted. Clarity: Often one card smacks you in the face with clarity. Right there. That’s the answer. Sometimes you have to work a little; dig a little deeper; maybe even wait a little for the meaning to reveal itself. Yet, when you mine out that vital piece of information, you know it. It’s clear. Brevity: It’s one card. It’s brief. Unarguable: Stay with it. It tells the truth. Every time. The tarot cannot lie. You can gild it with what you want to hear, but in the end, the card’s energy is true. Memorable: You can carry the card with you for as long as it takes. It can live in your head, your journal, or even put the actual card in your wallet. If the question is important, the reply from the cards will be emphatic. It will stay with you. The most important part of the one-card reading is the question. Take some time to work out what it is you really want to know. Looking for a yes/no answer? Searching for a revelation of truth? Needing reassurance and confirmation of what you already know? Yes/no: Is this relationship right for me at this time? Guidance: What’s the best way to take this relationship to the next level? Truth: Is Sandy really happy with me? Reassurance/confirmation of what the seeker already knows: Am I the man Sandy needs? Shuffle your cards in whatever way you are used to and lay out one card. Accept that your first impression may be bafflement. That’s okay. Let it go. Now assess your deeper reaction to the image. Are you pleased? Upset? Disappointed? Still baffled? Your first impression is important. Your sub-conscience or inner guidance already got the message, now it has to filter through to your brain. The traditional interpretation. This will be the widely accepted meaning, such as an Ace meaning a new beginning. Your intuitive interpretation. Only you know this. It will be based on your feelings and perhaps a flash of knowledge, a picture, or a whisper in your head. The activity in the card. Is there a figure? What are they doing? Does it connect to your question? It's very important to really look at the image. So many times, I have found myself brushing over it, but no matter how experienced you are as a tarot reader, always pay attention to the picture. The symbolism in the image. Are there any details that jump out at you? The energy of the card. Is it high, low, neutral, fast, slow, light, dark, negative, positive? The number of the card. See next section. There are other systems that can be overlaid, such as astrology, Hermeticism, Kabbalah, etc. It’s up to you whether to apply them or not. Unfortunately, their complexity is beyond the scope of this short article. Bear in mind that the numbers in tarot are generally decaying from one through ten. By decaying, I don’t mean in a negative way, but if you take the human life cycle as a metaphor for the numbers, you’ll be on the way to understanding. One/Ace is a burst of pure energy as it related to its suit. 10 is the culmination of all the experience that has been lived Again, as it is related to the suit. Notice that the two energetically ‘male’ suits, Wands and Swords end in struggle and defeat, while the two quieter, ‘female’ suits, Cups and Pentacles end in emotional fulfillment and material comfort. Sorry, I’m going off-topic. 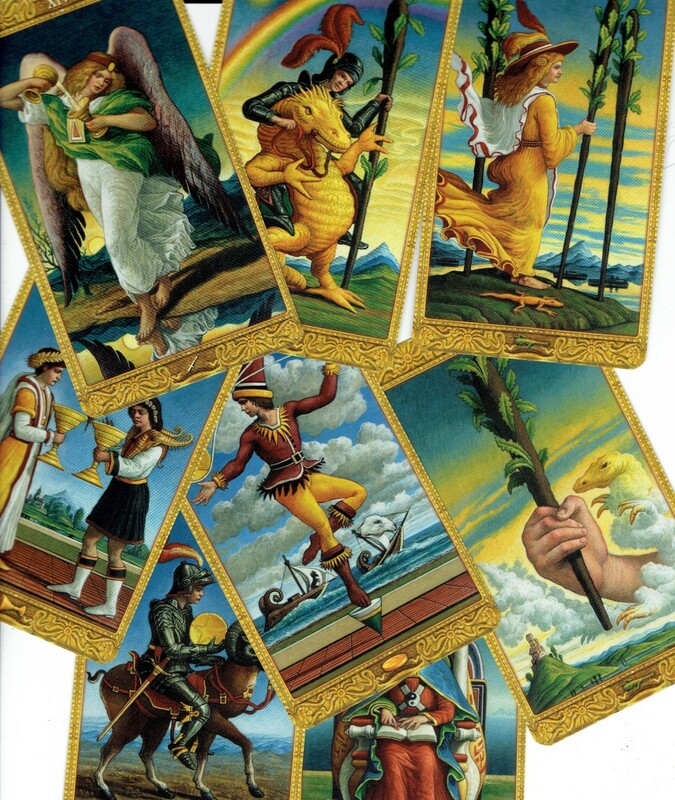 Anyway, examine and pay attention to the numbers in the tarot cards; they are important to your understanding. 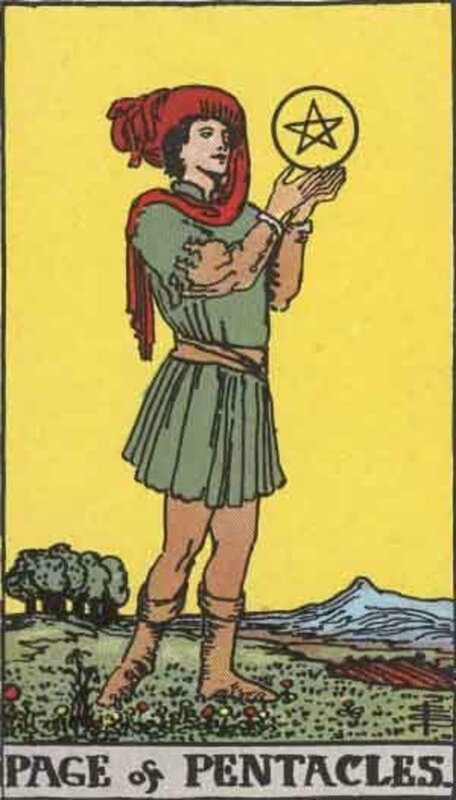 The Minor Arcana: the four suits numbered Ace to 10, are pretty straightforward to read, but what if a Major Arcana card appears? How do we interpret it? Well, just the same as a minor. Look at what is going on, check the symbols, colors, and number. Checkout the main keywords for the card. Yet, there is an extra dimension to take into consideration. When a Major Arcana card shows up, the issue assumes more importance. It might mean you have the opportunity to learn a significant life lesson. Or you are about to encounter a new spiritual concept. Or that whatever is headed your way, you cannot change. You have to endure, assimilate and experience the opportunity for growth and self-awareness. What If the Answer Is a Court Card? There are 16 court cards, split into ‘families’. Each suit has a family consisting of King, Queen, Knight and Page. 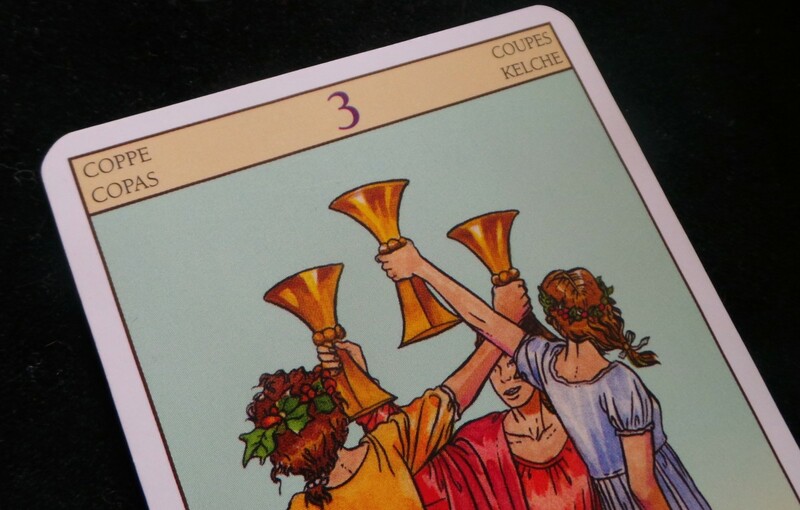 The court cards can be examined in the same way as any other card by looking at the illustration and also taking into account the element of the individual. What does that mean? 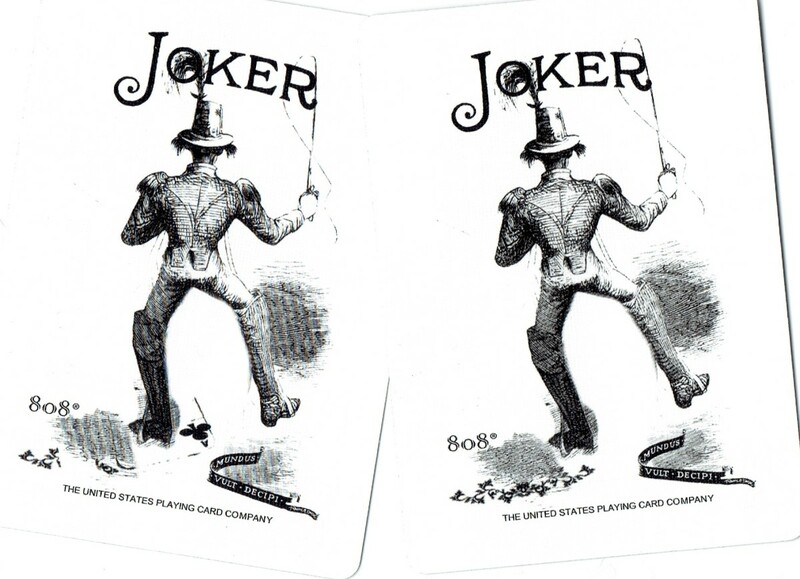 Okay, you might want to take a slight deviation here and visit my article on Court Cards. However, the quick answer is that each rank is connected to its own element, as well as that of its suit. Confused much? Kings represent fire, Queens represent water, Knights represent air and Pages represent earth. So the King of Cups is a mixture of Fire and Water, and therefore a mix of those two qualities: inspiration/action plus feelings/emotion. Does that make sense? You might need to explore this further. Also, to add to your confusion, Kings are outward looking, they always see the big picture. Queens are focused inward and pay attention to details. Knights are active and narrowly focused, as if they are on a mission. Pages are grounded, yet ready to explore their world. So when the question brings up a court card, you’ll find that the personality qualities will help you answer the question. It tends to mean that human characteristics play a huge part in the situation. Sometimes the seeker needs to take on those qualities to help himself, or it's possible someone who shares certain traits with the court card has a direct influence over the issue. Let’s stick with Gray and Sandy and draw one card to answer Gray’s potential questions. So to remind ourselves, he’s asking one of the following four questions. We, being tarot readers extraordinaire, are going to use a single card to cover all the bases and answer all four. The Six of Wands is illustrated by a man wearing a red tunic riding on a white horse. In this version, we can only glimpse the horse’s neck. A crowd gathers round the horse and rider, and right in the foreground, another man in a red cloak holds an open bird cage. The former occupant of the cage, a dove, flies free overhead. Question 1. Is this relationship right for Gray at this time? (Yes/no). This question requires a simple yes or no answer. 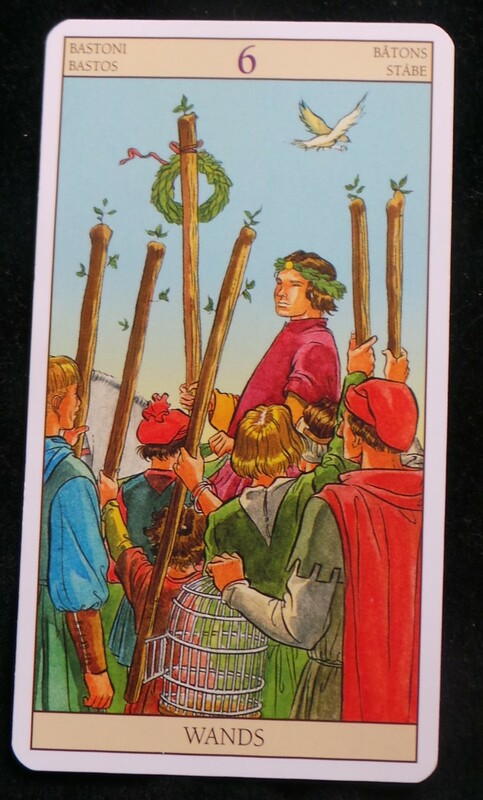 The Six of Wands is a positive card; the basic meaning is victory and achievement, so we can take it as a ‘yes’. Of course, the reader would normally expand on the meaning a little to give extra information. Question 2. What’s the best way for Gray to take the relationship to the next level? (Advice/guidance). The Six of Wands is a progressive, moving forward card, and it suggests that the relationship can be taken to a new level of commitment. 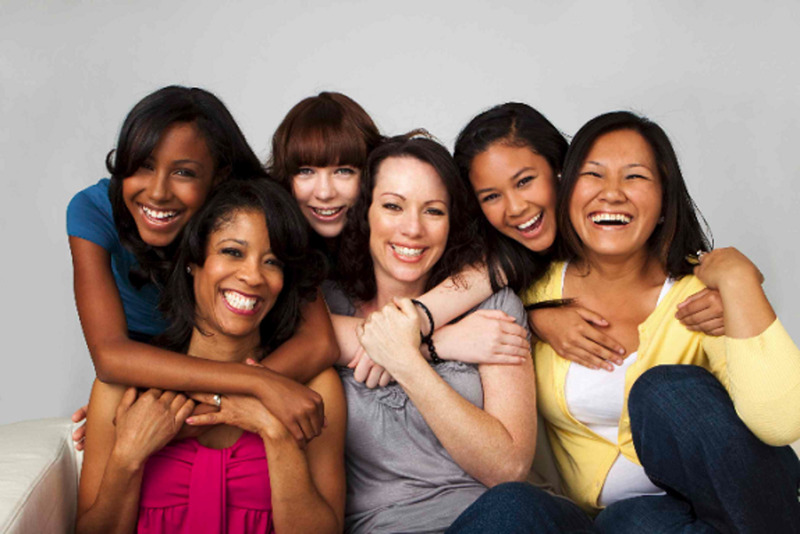 The number six often means that a recovery has taken place, so perhaps there has been a previous crisis in the relationship which has clarified the partners’ feelings for each other. This card indicates that the relationship is equal and reciprocal, so Gray should feel comfortable about discussing his feelings and ideas with Sandy. Question 3. Is Sandy really happy with me? (Truth). You have to be careful with questions like this one as they are presuming that you, the reader, will have insight into the other person’s feelings. This is known as a ‘third party reading’, so be circumspect with these. I would interpret the card as reflecting a strong, positive relationship, and let Gray come to his own conclusions as to Sandy’s happiness. Question 4. Am I the man Sandy needs? (Reassurance/confirmation of what the seeker already knows). In their mind, the reader would need to address the reason for this question. The flying-free dove is a telling detail in that Gray might be, just a little bit, trying to restrict Sandy’s freedom. The reader should gently ask Gray why he’s asking about this (and there’s a little trick regarding that which I’ll show you in a moment). As the overall energy of the card is positive, the reader could answer this in the affirmative, yet point at the dove as a subtle hint that Gray should allow Sandy all the freedom she needs to follow her own ambitions. So that’s a quick illustration to show how one card can answer just about any question. I mentioned the trick regarding how to know why the question is being asked in the first place. Mostly it’s obvious, but sometimes the seeker is cagey and unwilling to be open. Just pick up the deck and peek at the card at the bottom. I can’t tell you how often this has given me all the information I need. You don’t even have to mention it to the client, though you can if you want to. This card is called the base card. It’s similar to the ‘root of the matter’ card in the Celtic Cross spread. It will reveal the seeker’s motivation. It may even reveal the important question s/he is not asking. Okay, it’s cheating in a way, because it’s bringing a second card into the reading, but oh so useful. 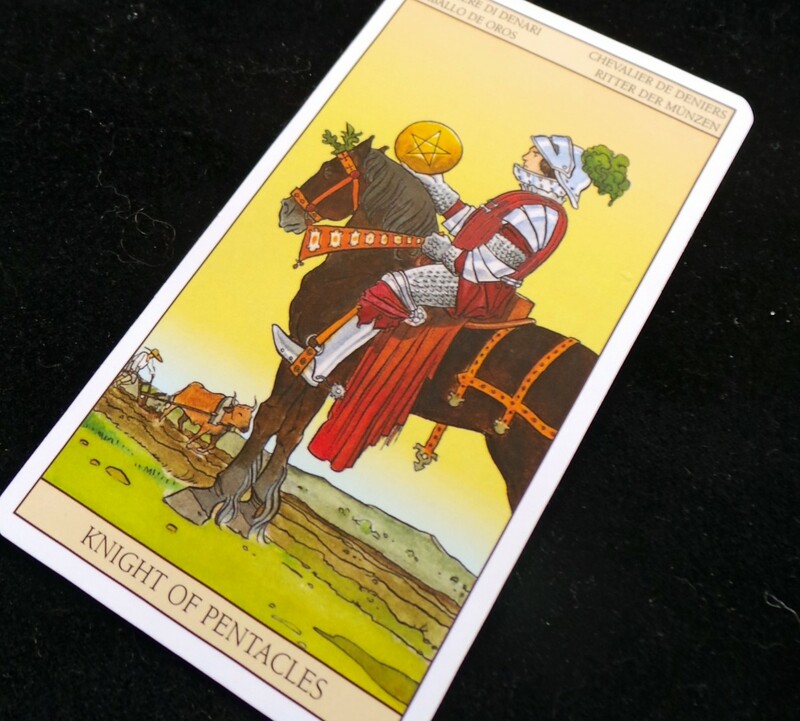 The Knight of Pentacles sits upon his stationary horse. His horse and armor are draped with rich earth-tone colors as well as sprigs of leaves. The horse is heavy, strong and sturdy. In the background a farmer is steadily plowing his field with his hard-working ox. 1. Yes/no: Is this relationship right for me at this time? Yes, The Knight is perfectly comfortable. Gray’s in the place he’s meant to be. 2. Guidance: What’s the best way to take this relationship to the next level? Slow and steady does it. While the Knights are on active missions, this one is prepared to be patient. The telling detail is in the farmer working consistently and quietly to achieve his goal. The suit of Pentacles also tells Gray it might be a good idea to focus on a practical aspect of the relationship—perhaps it's time to book a romantic weekend break? 3. Truth: Is Sandy really happy with me? Bear in mind the third-party aspect, but this Knight’s calm assurance would indicate that he is confident in the love of his partner. That answers the question without infringing on Sandy’s private feelings. 4. Reassurance/confirmation of what the seeker already knows: Am I the man Sandy needs? If Sandy is looking for a loyal, reliable, faithful partner, then this card says, yes, Gray is definitely the man she needs. D’you see how it works? I love one-card readings, I’m always impressed with how a single tarot card is able to reveal precisely the information required in the moment. Feel free to ask any questions about one-card readings in the comments below, but please don't ask for a free reading. 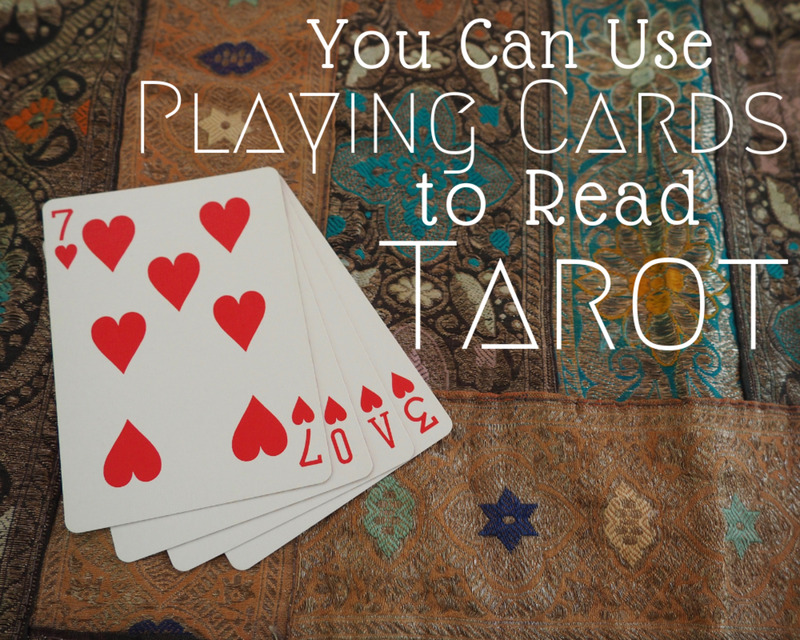 Can a one-card reading predict marriage? Yes it can. Look out for the Hierophant, the Lovers, Two of Cups or the Four of Wands. 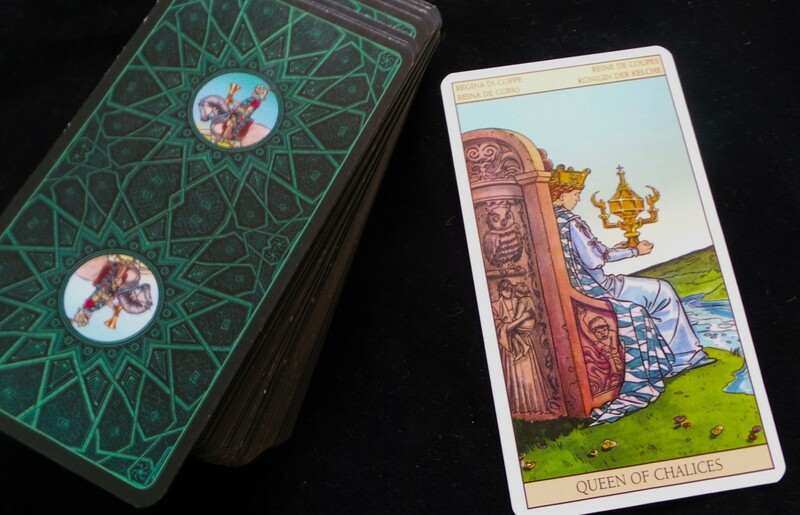 Could a one-card reading give me information about getting a job this year? 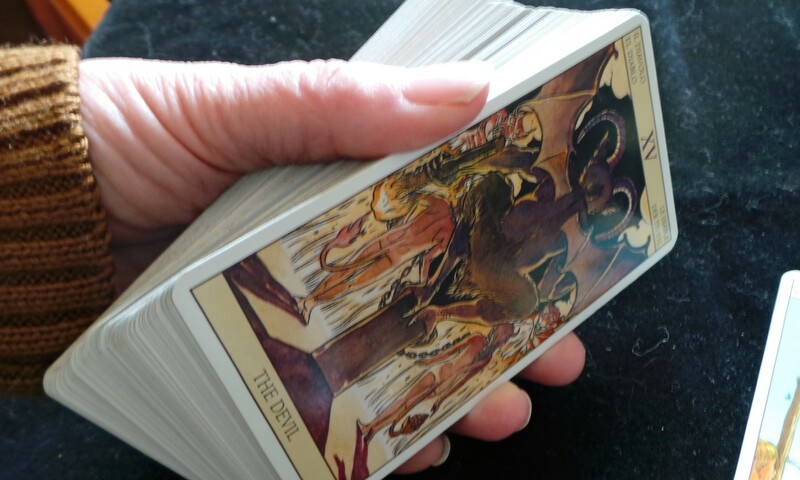 Yes, a one-card tarot reading can give you plenty of information, depending on the question you ask. So, for instance, you could ask "What actions can I take to help me get a job?" or "Are there other kinds of jobs I should consider?" Formulate your question properly so that you can extract as much useful information as possible. Grab your cards and give it a go. I want to know about my present condition, about education and my future career?? I have tried the reading of one card per day but must admit that I feel that there is something in the house I live that is very very negative and causes me not to stay focused. I really enjoy looking into the Tarot cards and their meanings. Layers upon layers you said. I can see that in the reading you did. This is real informative about how a 0ne-card reading can tell you what you want to know than a 4-card one. Thanks for sharing Bev. Real insightful. Thankyou for another informative review. It's always very interesting to read and learn.